Vancouver Irish Film Festival (VIRFF) is Vancouver’s newest cultural event organised to celebrate the city’s vibrant Irish diaspora and showcase the best in Irish cinema. Vancouver’s thriving creative film industry and strong Canadian/Irish co-production tradition, which includes award winning films ‘Brooklyn’, ‘Room’, ‘Maudie’ and ‘The Breadwinner’, inspired festival founder Aine Coady to create a platform to share Irish loved films. Building on the expected success of the launch in June plans are in place to extend the festival to a three day event later in the year. The programme will include Irish shorts and features along with some excellent Irish-Canadian Co productions. 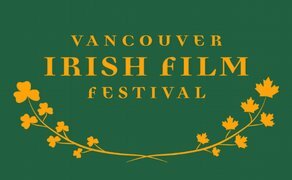 VIRFF launch night takes place on Saturday June 16th at the beautiful setting of Vancity Theatre, which hosts the annual VIFF, where they will be screening ‘The Drummer and the Keeper’ followed by an after party with traditional Irish music. Nick Kelly’s ‘The Drummer and the Keeper’ tells the story of the unlikely friendship formed between two young men; Gabriel, a reckless young drummer who revels in rejecting society’s rules and Christopher, a 17-year-old with Asperger’s Syndrome, who yearns to fit in. This heart-warming story shows the strength of the human bond, in the face of adversity. Written and directed by Nick Kelly, whose short film ‘Shoe’ was shortlisted for an Academy Award, ‘The Drummer and the Keeper’ was produced by Kate McColgan for Calico Pictures (‘From the Dark’), with support from the Irish Film Board. Tickets for the event are on sale Friday May 25th. The VIRFF is generously supported by the Irish Embassy in Canada and local Irish businesses in Vancouver.